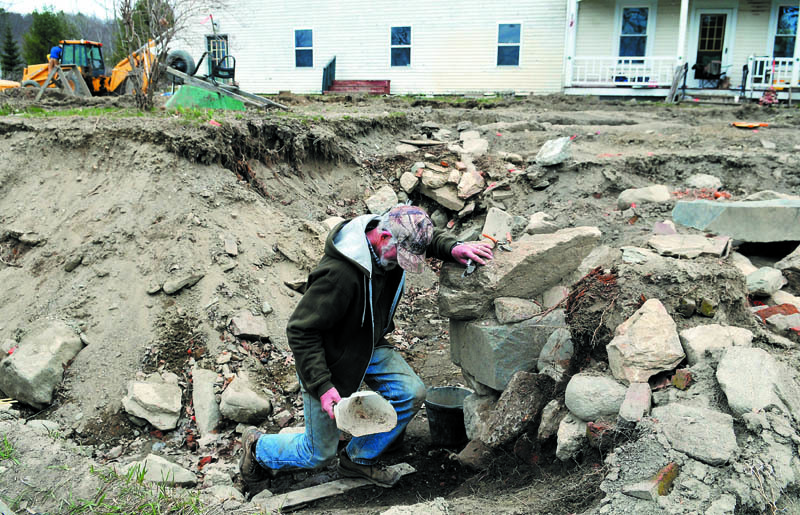 The Maine Historic Preservation Commission has begun excavating Fort Richmond, the first English fort in Maine, in Richmond, with the hope of recovering as many artifacts as possible before construction on a new bridge over the Kennebec River between Dresden and Richmond begins in July. Commission archeologist Leith Smith said volunteers are wanted to assist at the site through the end of June. "The pressure is on," Smith remarked. The Maine Historic Preservation Commission has begun excavating Fort Richmond, the first English fort in Maine, in Richmond, with the hope of recovering as many artifacts as possible before construction on a new bridge over the Kennebec River between Dresden and Richmond begins in July. Commission archeologist Leith Smith said volunteers are wanted to assist at the site through the end of June. “The pressure is on,” Smith remarked.